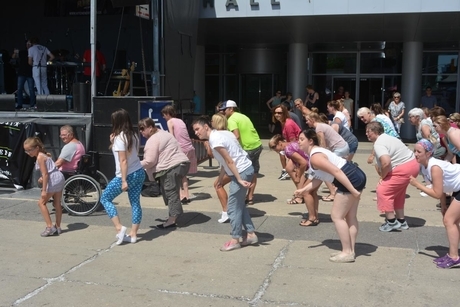 The Independent Living Centre of Waterloo Region depends on volunteers to help raise awareness and funds to support persons living with a disability. It is because of people like you that we are able to do what we do. Periodically, ILCWR pulls together staff, consumers and/or community members for feedback on things such as: our policies, events and programs. If you are interested in serving on a committee or participating in a focus group, please click here. Interested in bettering the lives of adults with disabilities in Waterloo Region? The Independent Living Centre of Waterloo Region is looking for visionary community members to join its Board of Directors. To apply, fill out the online application or click here. Volunteers are trained to use a variety of puppets with and without disabilities to perform scripted shows for children. Volunteers will learn the different scripts and understand the issues present for disabled populations. Volunteers must have physical stamina to operate the puppets, public speaking/acting skills, solid English communication skills and ability to work closely with others. Volunteering as a puppeteer is an excellent opportunity for those interested in counseling and therapy, teaching, theatre and the special needs population. Get your community service hours while having fun. Volunteer at one of ILCWR's community fundraising events like the Tournament of Hope, or the Epic Food Truck Fare. To find out about upcoming opportunities, click here.